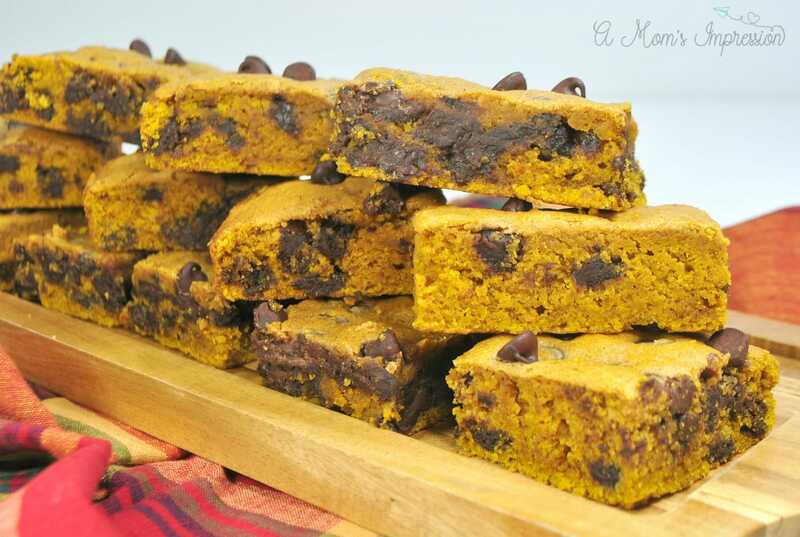 These Pumpkin Chocolate Chip Bars are super easy to make and amazingly soft! 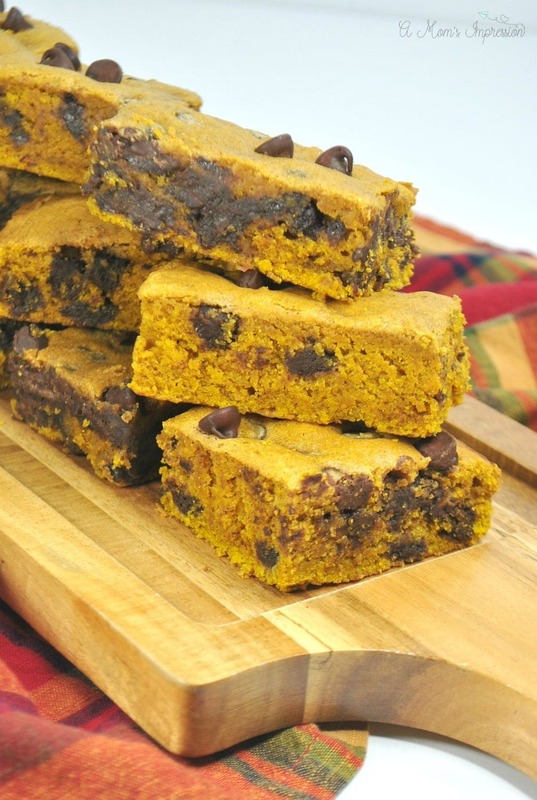 These are the best pumpkin bars with tons of chocolate chips! While a fantastic fall dessert option, this recipe is perfect year round! When I think of fall I think of pumpkins. Break out the pumpkin spice and enjoy all of the delicious flavors. It finally feels like fall when I smell the pumpkin smell lofting from the kitchen. There are so many delicious pumpkin recipes I enjoy making in the fall, but hands down this one is are my favorite! 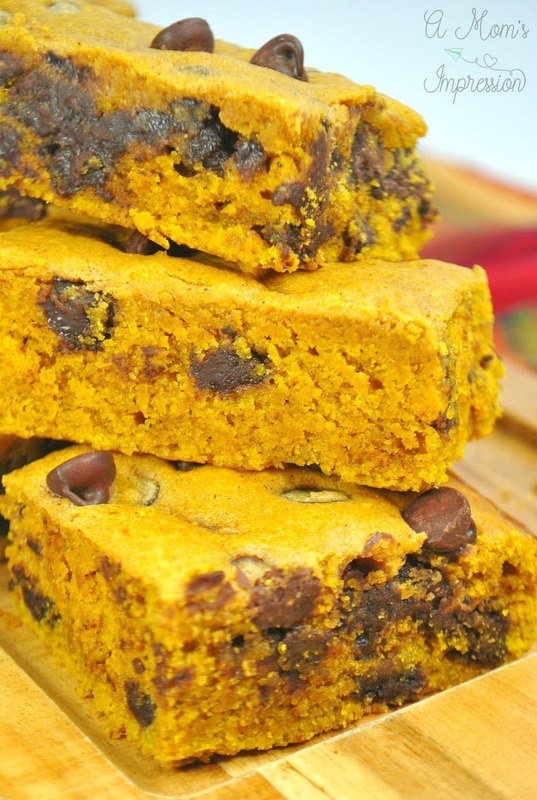 These easy pumpkin bars are filled with the spice and pumpkin flavor you crave along with some chocolate chips that give it just the right amount of sweetness. 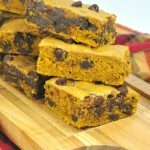 Seriously, if you only make one pumpkin dessert this year, these pumpkin chocolate chip bars need to be it! 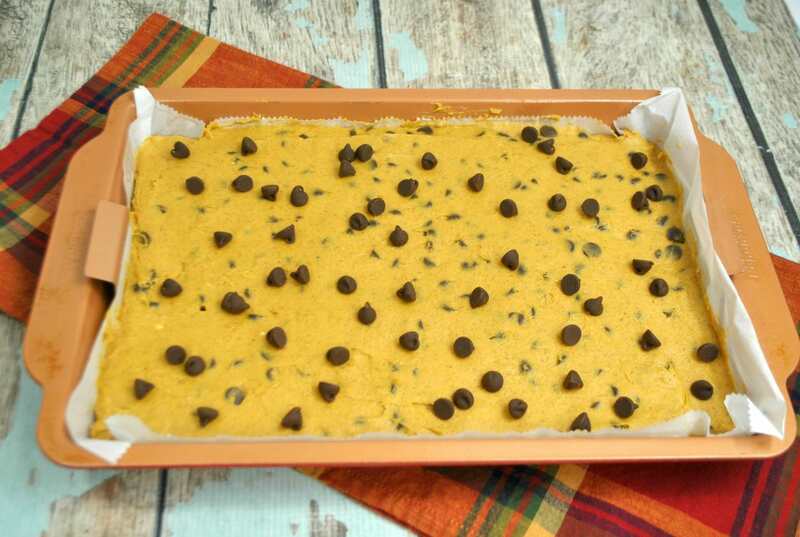 So, why do I make this pumpkin bar recipe with canned pumpkin? Well, the answer is simple, because all the hard work is done for me and canned pumpkin is canned fresh therefore making it a healthy option to bake with. I went on a tour of a canning facility this past month where I learned all about canning foods and if it is just as healthy as fresh foods and the answer might surprise you. Be sure to read all about my canning adventure to learn more. If you have a pressure cooker you can make your own pumpkin puree, but I suggest taking some help from the store on this one and purchasing the canned pumpkin. Speaking of the pressure cooker if you are a fan of yours like we are, check out our Instant Pot Pumpkin Cheesecake recipe for the best pumpkin cheesecake you have ever made at home. Let’s get on with the pumpkin chocolate chip bars. You are going to love how easy it is to make these. If you are expecting guests you can make these easy pumpkin bars ahead of time and freeze them or keep them in an airtight container for a week. Line a 9 x 13 brownie baking dish with parchment paper and spray with cooking spray, set aside. Using a large mixing bowl, combine the flour, pumpkin pie spice, baking soda, and salt and whisk to combine. Using a standing mixer, cream together the butter and sugar until light and fluffy. Mix in egg and vanilla and beat well. Add pumpkin puree and continue mixing until combined. Gradually mix in the dry ingredients. Fold in chocolate chips. Spread batter into your brownie baking dish and bake for 30 minutes or until a toothpick comes out clean. Allow bars to cool completely before cutting. Enjoy!